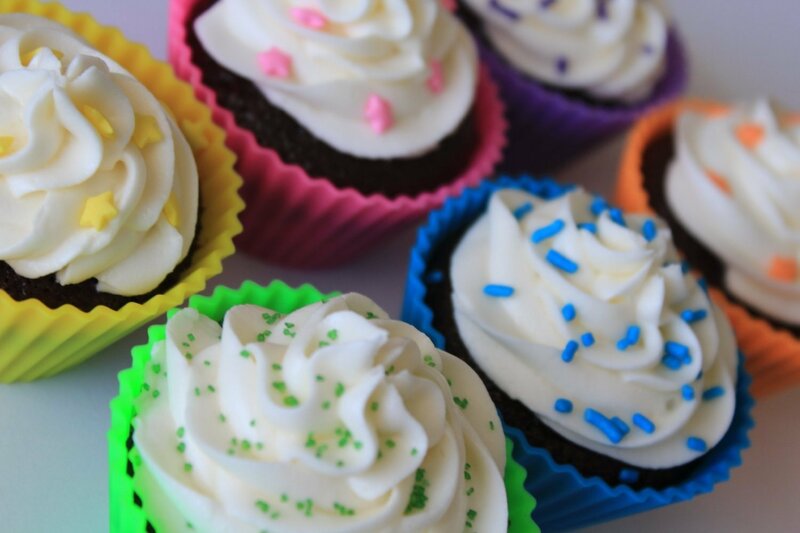 Cupcake Kit is Easy to Store: It is freezer safe, i.e. 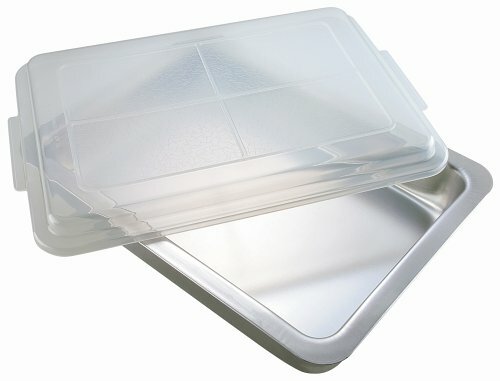 you can use it to store the food in your freezer. It doesn’t react with the food in the colder conditions, nor does it gets defected itself. 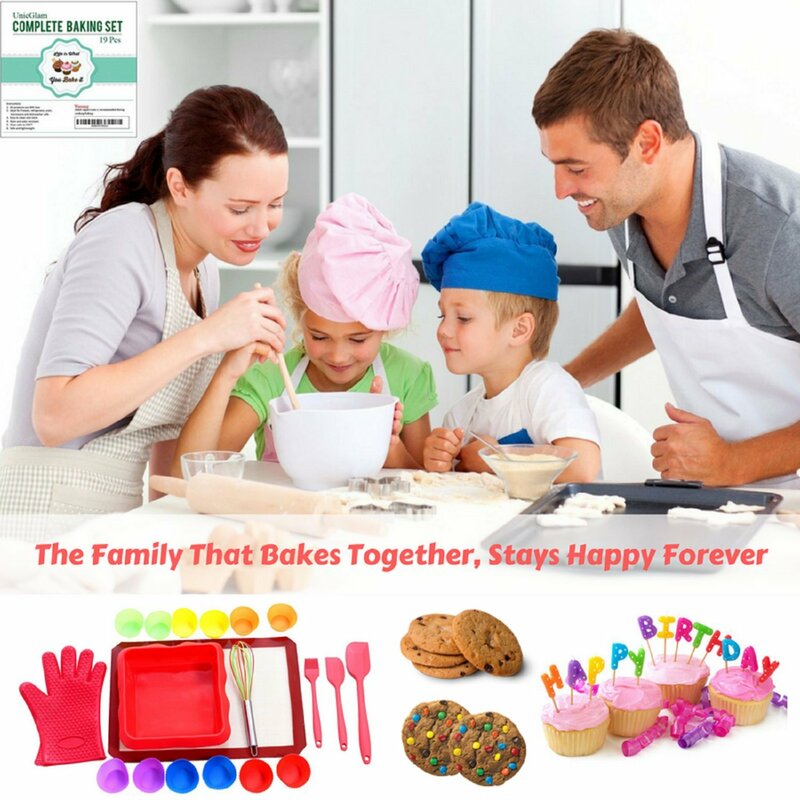 Baking starter Set is Safe: Again, its freezer, dishwasher, and microwave safe; offers the heat-resistant technology for easier use, and is hazard free. Cupcake Baking Kit is The Perfect Gift: Surprise the newlywed couple with a unique yet useful gift. 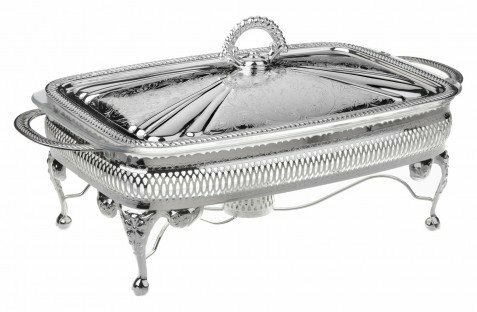 It brings the completeness and offers a foundation to their new life, at least in the kitchen. SILICONE STAINLESS STEEL WHISK (10 x 2 inches): Easy to grip with the small hands but strong enough to whip. Now, mix the cake butter or melt the chocolate without any fear of breaking the steel whisk. It’s robust enough to let you apply the pressure with the freedom. SILICONE BAKING MAT(16.5 X 11 inches): Use with oven, freezer, or toaster. 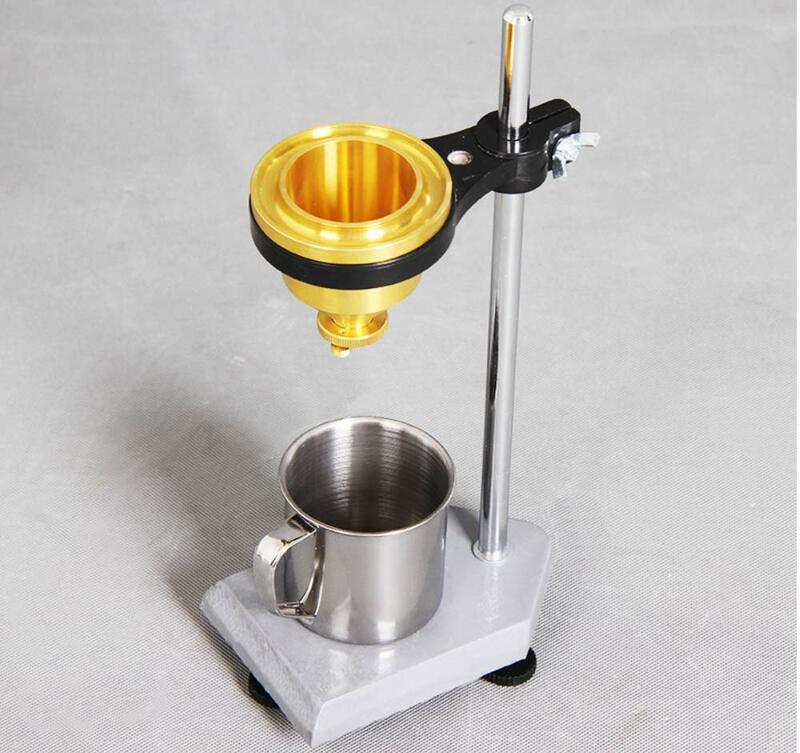 It can turn any baking surface into the non-stick one. 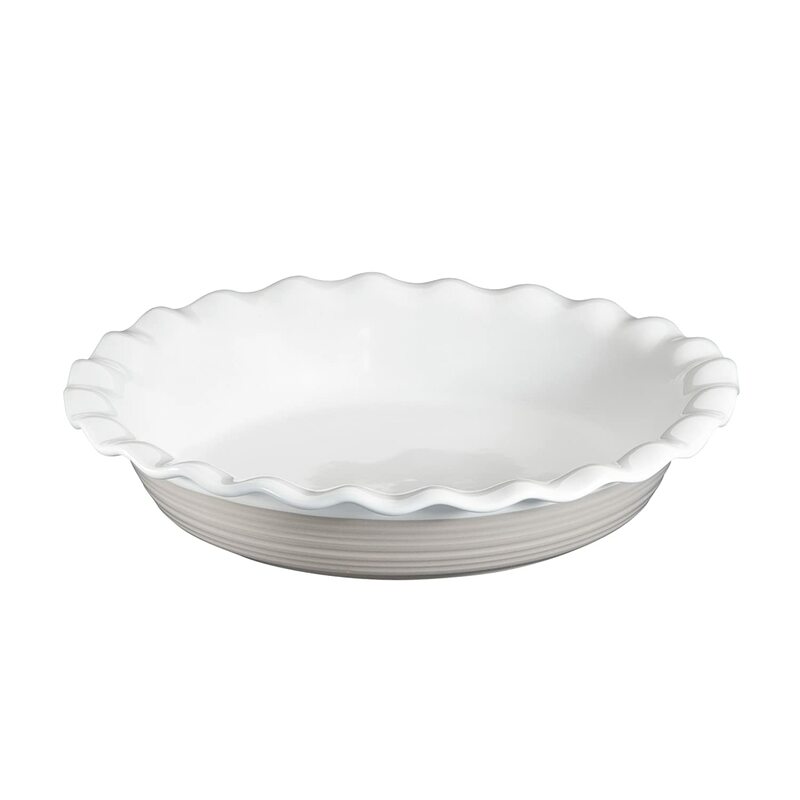 No need to use harmful wax or oils; it works like a charm, is easy to clean and dishwasher safe. 2 SILICONE SPATULAS (of different sizes: 11 inches and 8.5 inches): perfect for all the scratching or scraping what you might ever need to perform with a spatula. SILICONE BRUSH (8 X 1.3 X 0.4 inches): Best design and quality; ideal for spreading butter or oil or cream. SILICONE BAKING GLOVE (10 X 6.9 inches): It is heat resistant, waterproof and compulsory product for safe cooking, designed to deliver extra layer of protection without sacrificing the grip and control. 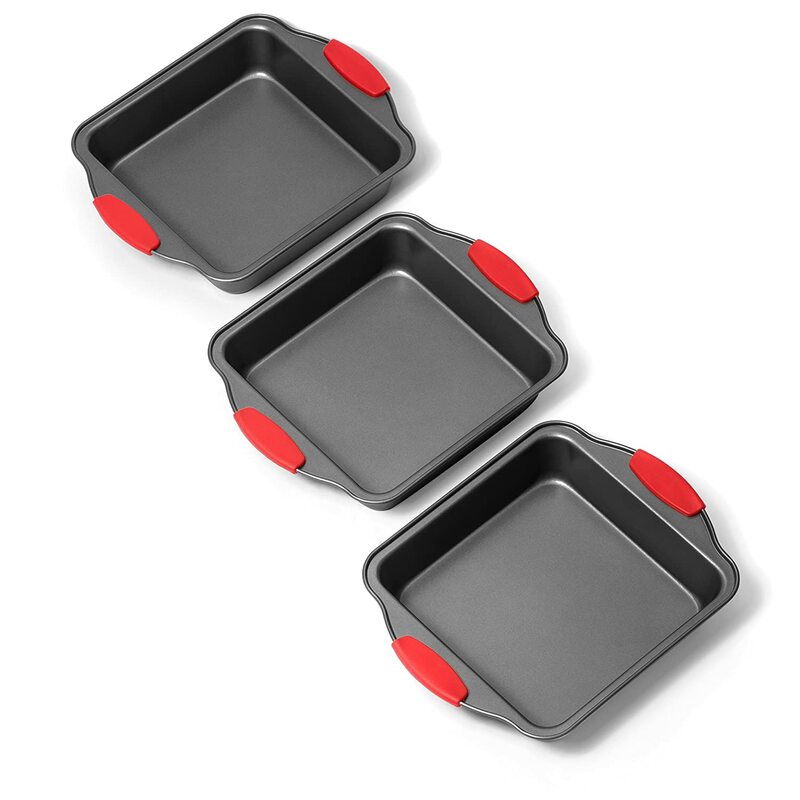 SILICONE SQUARE BAKE PAN (9.3 X 9.3 X 2.5 Inches): the absolute pan for all the baking purposes, be it cakes, icing, decorating, whatsoever. 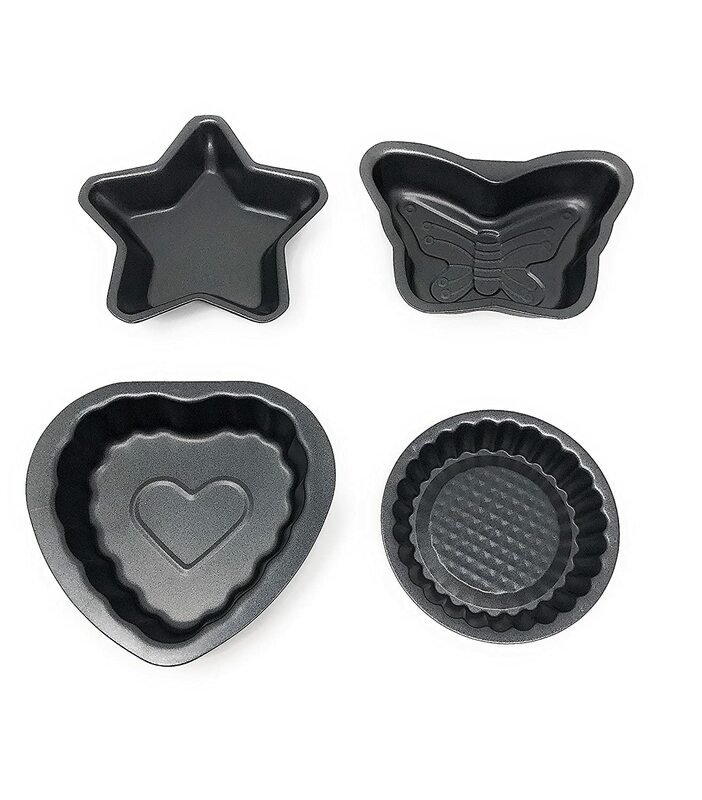 12 SILICONE BAKING MUFFIN/CUPCAKE (2.8 X 1.4 inches): As the name suggests, it is reusable and provides means to store the baked food for longer time. 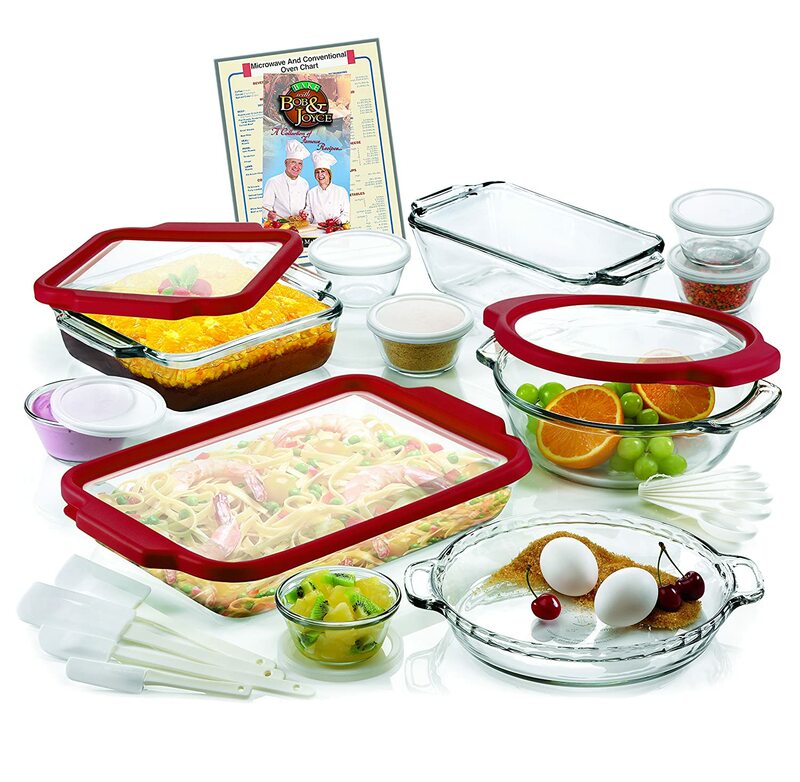 Moreover, these are FDA and LFGB certified; BPA, PVC and Phthalate FREE. Fast shipping from seller and item perfectly described. Would buy from this seller again! Fast service, honest seller. Very cute product, arrived on time and is exactly as represented. Thanks for a great gift! Great for kids baking! Kids love them! I love to cook, and I very much want to pass that love onto my niece. An Easy Bake oven is nice, but it really doesn't teach much in the way of real cooking. 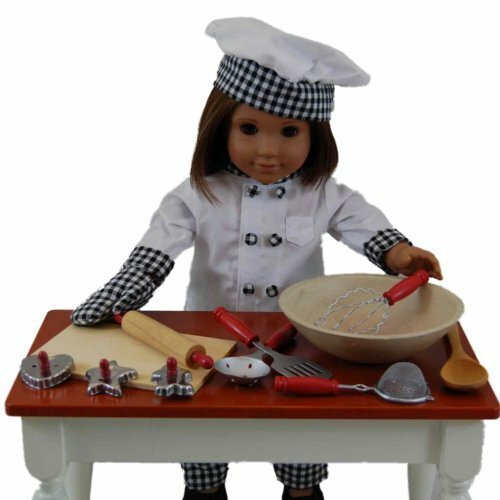 However, with the UnicGlam Baking Kit I can teach my niece real, honest to goodness cooking. We make the same thing, side by side in the kitchen (I cut down the size of the ingredients for her, hee hee) and are able to end up with the same results. My niece loves having her own cookware, and I think the bright colors really keep her attention. The UnicGlam set is incredibly easy to clean, amazingly sturdy, and a ton of fun. My niece and I have made so many meals together, and it gives her a real sense of pride and accomplishment to be able to make something beyond ripping open a box and sticking it in the oven. 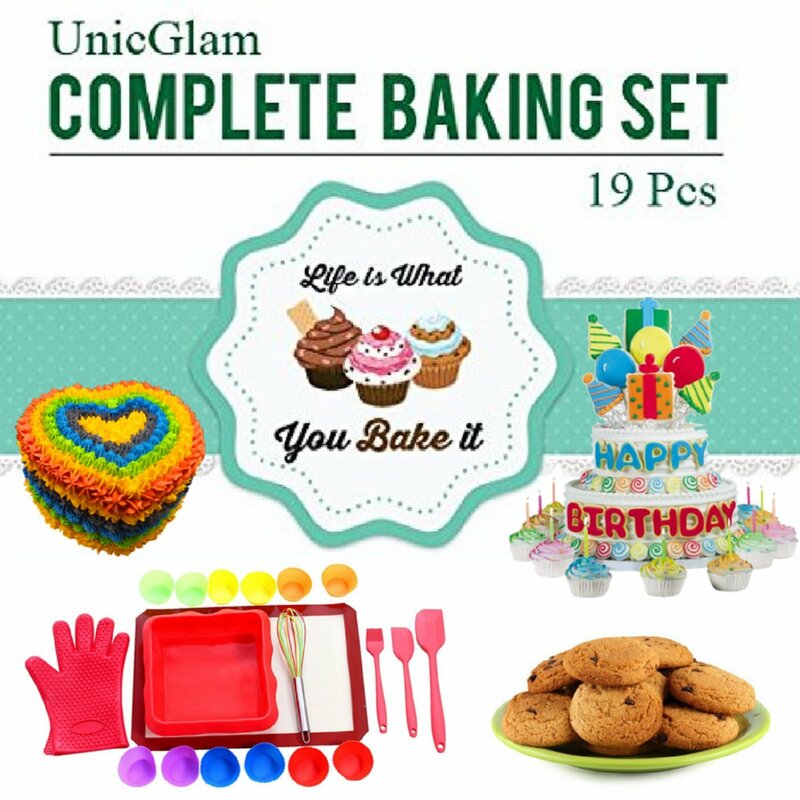 If you have a special young family member in your life, do yourselves both a favor and purchase the UnicGlam Baking Kit. You won't regret it. 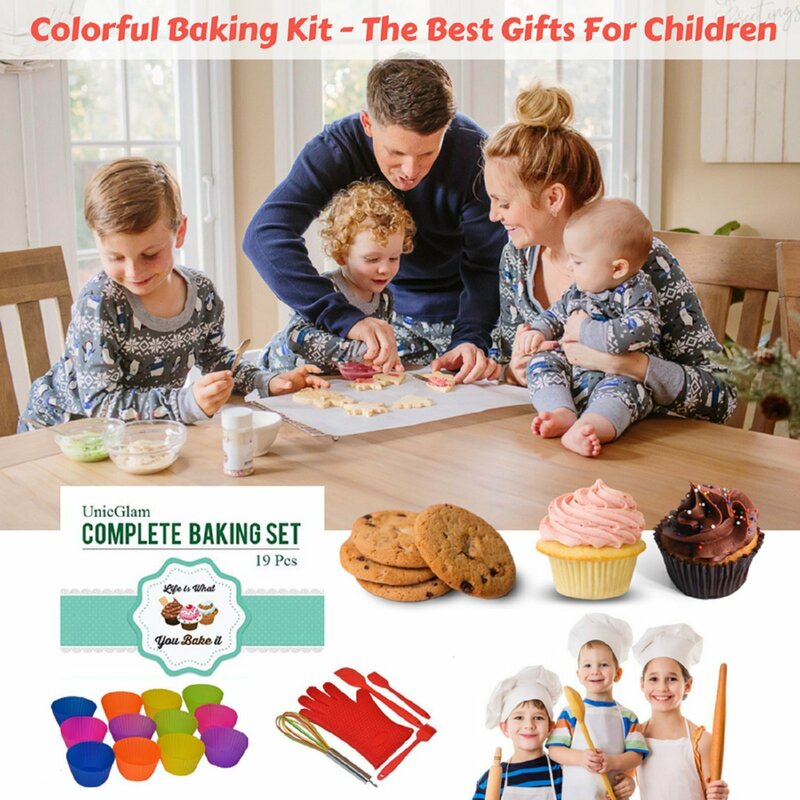 This is such a great product - when I moved into my first apartment I was so torn on not having the supplies and having to go out and buy everything separately but I stumbled across this baking kit that was kid friendly for my daughter and was a bit skeptical at first for everything you get for the price. But when it made my cupcakes and cakes beautifully and really is quality stuff and my daughter absolutely loves it. SHe is able to grip everything firmly and it's not too heavy or bulky, just the right size for her small hands. I'm so glad I bought this and can share baking memories with my daughter. 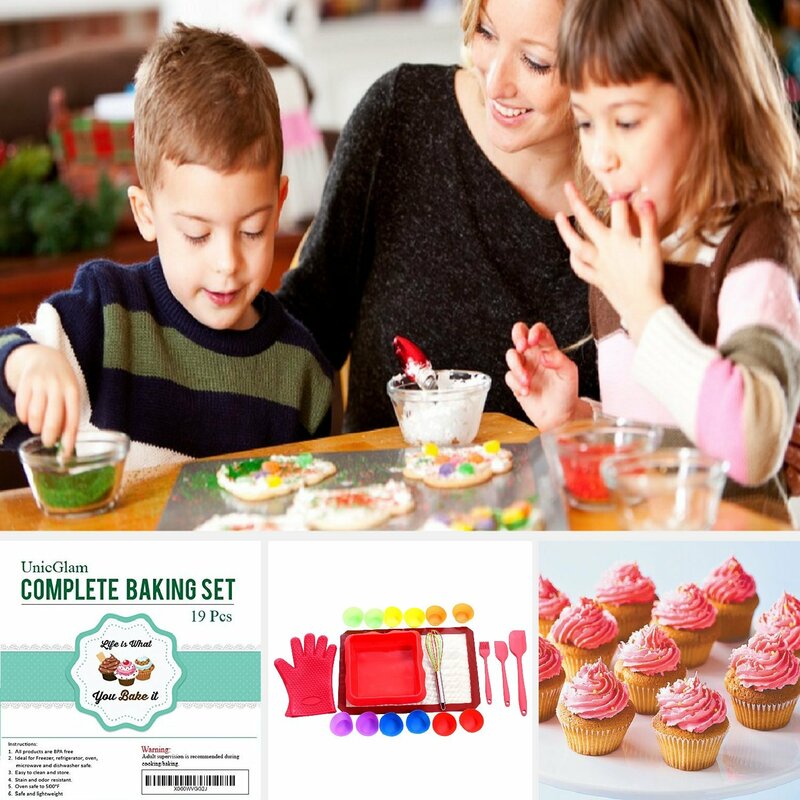 Baking Set for kids is an amazing gift option for kids. It is easy to maintain. 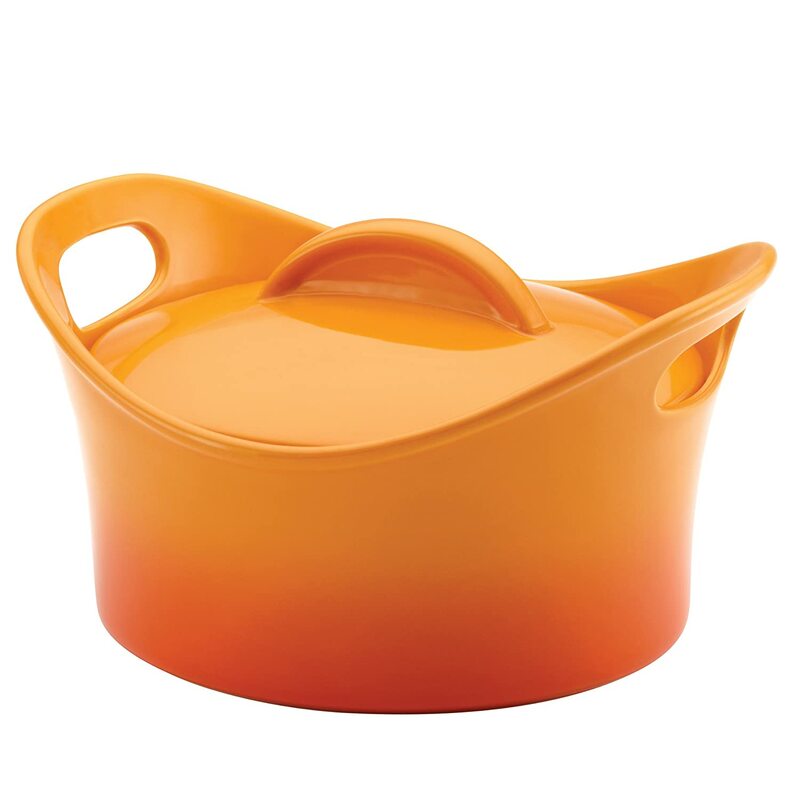 designed perfectly to clean it easily and use it for cooking easily. 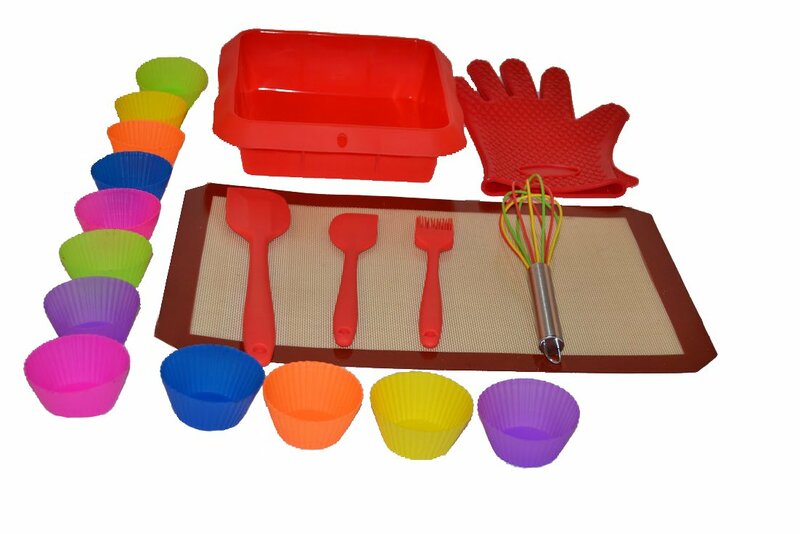 The kids can actually learn the baking / cooking methods easily as this baking set has every products required for the same. 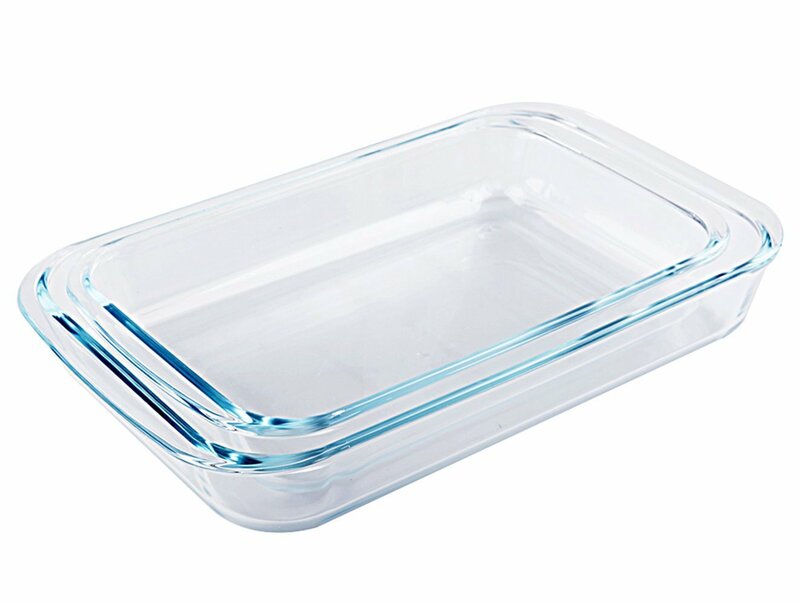 It can be easily used with micro oven and baked in the freezer too. Perfect gift for occasion like birthdays, wedding days for newly wed couple to have a feel of baking cupcakes at home at ease. A value for the money. 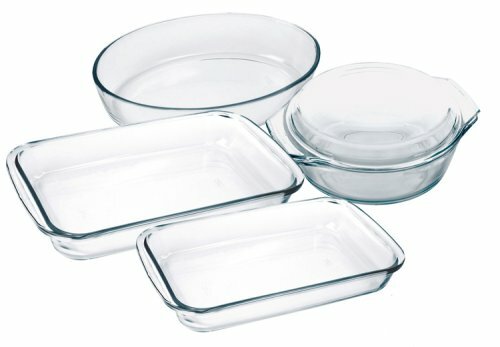 This is a great set for young chef's. Arrived quickly and the price was great. Granny loves to give the perfect gift and this was a big success. 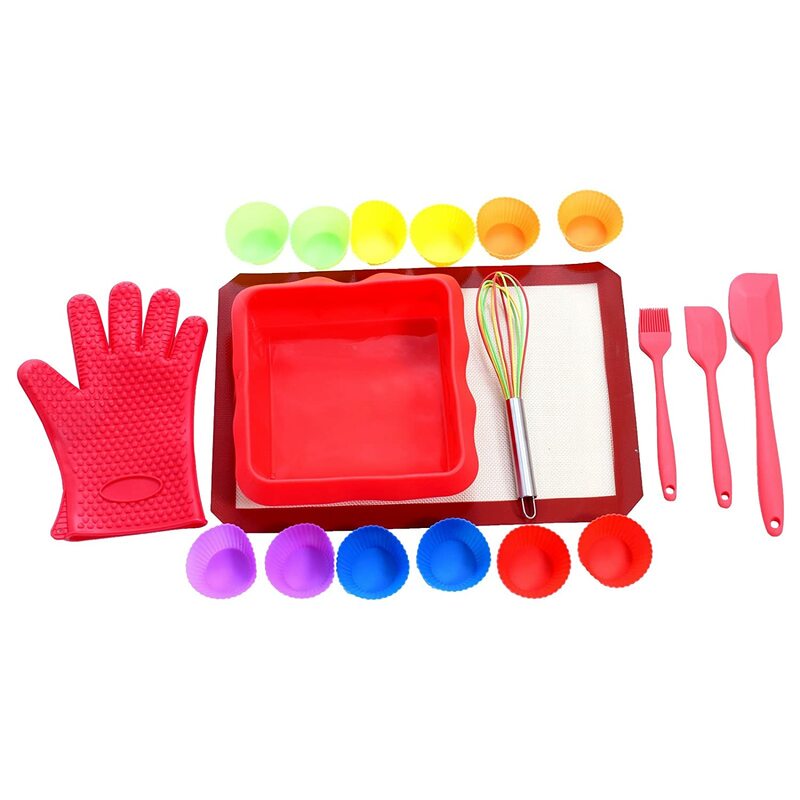 I love this baking kit because it is fun and colorful. 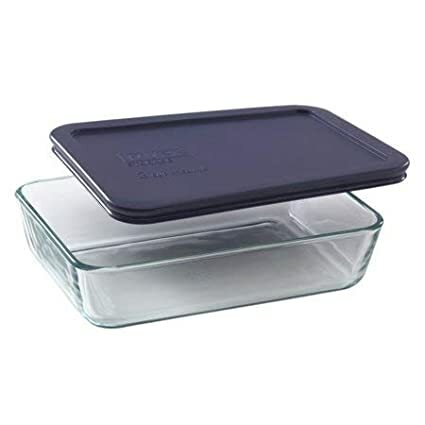 It is fun to use and I feel like I wanted to bake everyday just so I can use it.